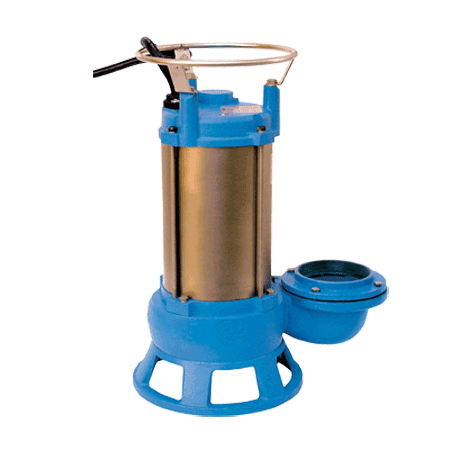 Submersible shredder sewage pumps feature an enhanced spiral shredder mechanism plate and carbide-tipped impeller to prevent clogging and reduce maintenance when cutting through stringy, fibrous and sludge-type waste. Applications include sewage pumping stations, septic tanks, sewage treatment plants, dirty water drainage, flood and emergency. Motors are rated continuous duty and single phase models have thermal overload protection.